Those of you who live here in Colorado and other parts west are familiar with the weather phenomenon known as the Chinook Winds…when they come, they blow down off the mountains with gusto! 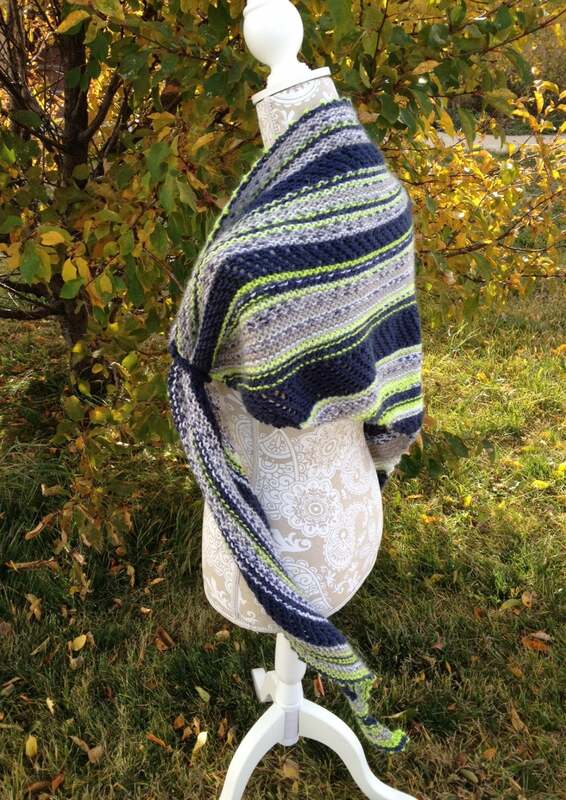 Well folks, these winds are the inspiration for my new design, “Chinook Winds Shawl”. 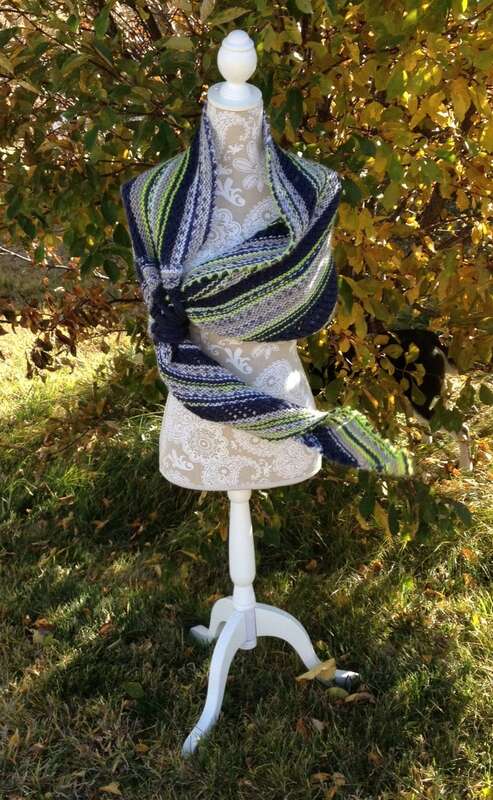 I always seem to struggle with scarves and shawls wanting to blow off my neck and shoulders. And since I’m a “plain Jane” kinda gal, I don’t always want a piece of jewelry, like a shawl pin, to fasten the shawl securely. 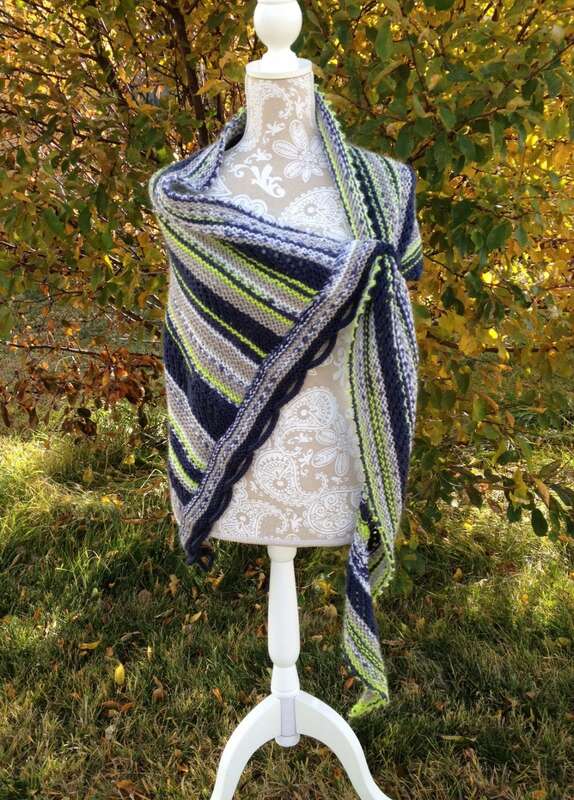 This shawl incorporates a bunch of design features that make it fun to knit and fun to wear. 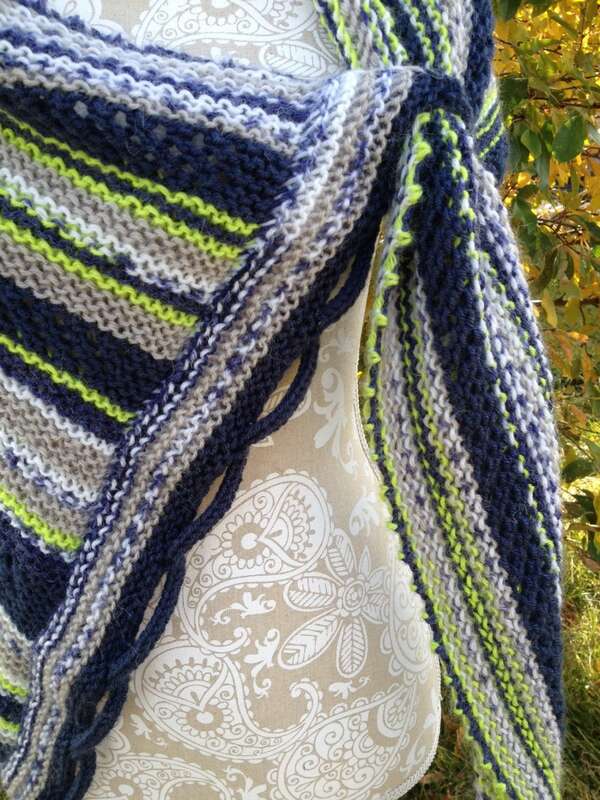 It is all knit on the Authentic Knitting Board’s Afghan infinity loom. There is nothing to sew (which most of you know, makes me very happy!). 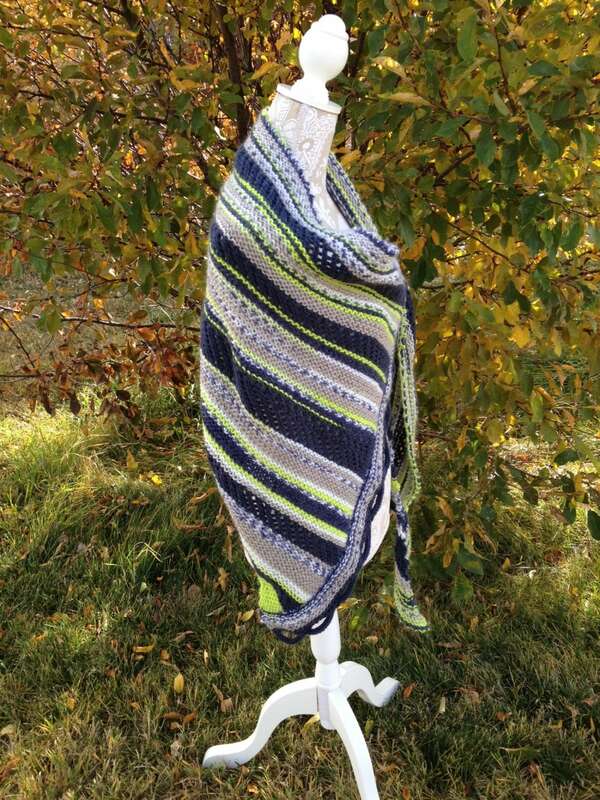 This one was knit with about 360 yards of Yarn Bee’s Fair Isle light-weight yarn in Navy/Lime Multi color and approximately 175 yards of I Love This Yarn, a worsted weight yarn, in the Dark Denim color.